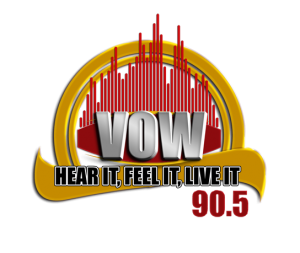 Pamoja Radio99.9 FM is a community radio station formed in 2007 to empower youth of Kibera and its surrounding area through education and information. In this clip, station founder and manager Adam Hussein, along with key staff, talk about the goals of Pamoja, the support of USAID and it’s training policies. 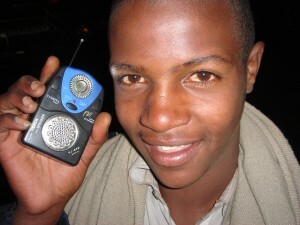 This is another post examing the important role of student radio in Africa. In this clip Professor Ralph Akinfeleye from the University of Lagos, Nigeria, dicusses student station Unilag 103.1 FM, their Mass Communication course, and the influence of Government in the evolution of Nigerian Broadcasting. This is the second post to feature Prof. Franz Krüger. Krüger is the director of the Wits Radio Academy, the centre for learning, research and public engagement around radio based in the University’s journalism programme. 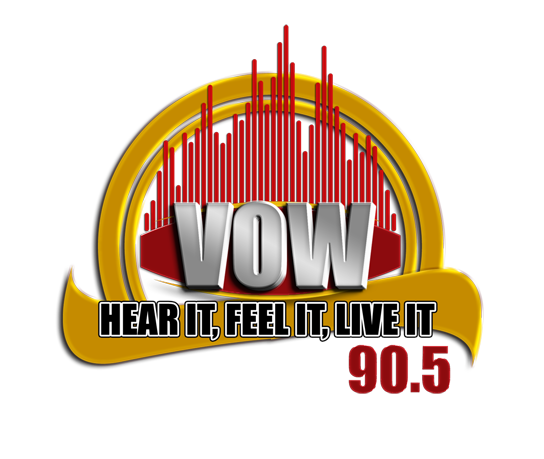 In this clip he talks about the launch of “VOW Radio 90.5” (Voice of Wits) – the campus radio station for the University of the Witwatersrand. It is located in central Johannesburg, on the 9th floor of University Corner in the heart of Braamfontein. In this clip, Ben Osere discusses radio useage in Kenya – and how it’s being influenced by the advance of mobile phone technology. Recorded in June, 2010, Nairobi Kenya. During the Christmas holidays of 2008, I travelled to Liberia in order research my BCU dissertation in media and communicattion – and to be reunited with family members whom I have not seen for 13 years. During my visit, I presented some professional marantz recorders I recieved from the Birmingham School of Media to the Press Union of Liberia. 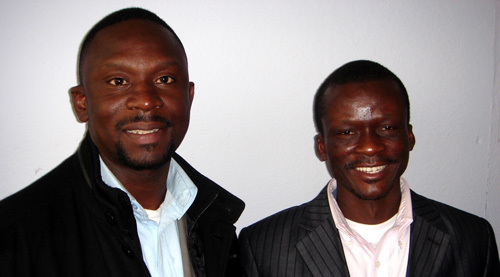 “A Liberian journalist residing in the UK has donated four tape recorders to the Press Union of Liberia (PUL), for the use of the electronic media in the country. Journalist Douglas Farnkalo, a former Radio Announcer of ELCM Radio, said the gesture was made possible from a request he made to the authority of the Birmingham City University in the UK where he is studying as a student of communication. This audio slideshow was produced by R4D for CARE International UK in 2009, to highlight the difficulties faced by women in Afghanistan – and how CARE’s projects are helping them to face the future. This audio slideshow profiles the worrk carried out CARE Intenational in Rawanda and features “James Bond” composer David Arnold’s trip to Rwanda as a CARE ambassador in 2009. This clip profiles the work carried out by leading aid organisation CARE International UK, in Ethiopia. Communications officer Amber Meikle discusses the various projects that CARE are working on in the country. This clip was recorded during 2006 when I was working as a production consultant for the BBC World Service Trust in Addis Abbab, Ethiopia. These examples of Ethiopian broadcasting (recorded in 2006) capture a generic Sat. morning of live radio in Addis Abbaba.